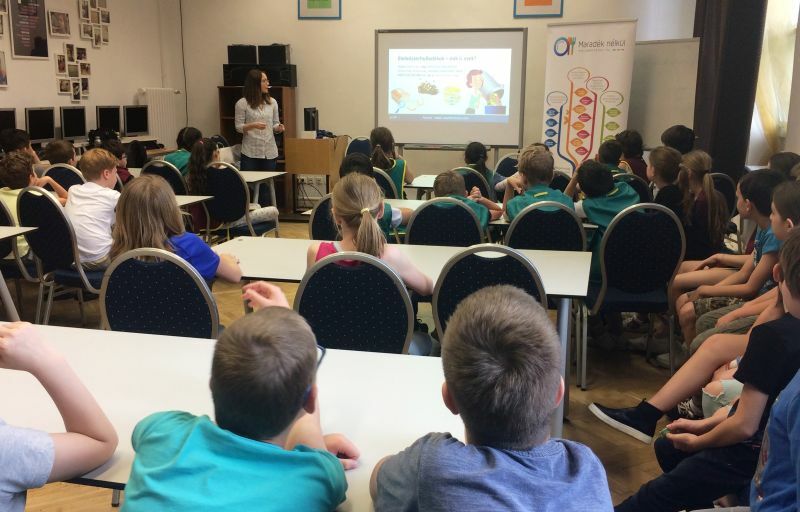 In the frame of the Sustainibility Week, experts of NFCSO visited Molnár Ferenc Bilingual Primary School again in the 9th district, where they gave presentations to nearly 150 children. The 4 and 5 graders showed great interest in the interactive lessons of Wasteless’s experts, where they had the chance to familiarize with the world of food waste. During the presentations not only the students, but the experts also encountered a lot of curiosities. The most memorable moment was when a boy commented that they never throw salad leftovers in the rubbish bin at home because he gives it to his pet, a giant snail, those intact leaves that he wouldn’t consume at all. The next station of our lessons will be Medgyessy Ferenc German Nationality Elementary School in Békásmegyer (Budapest).